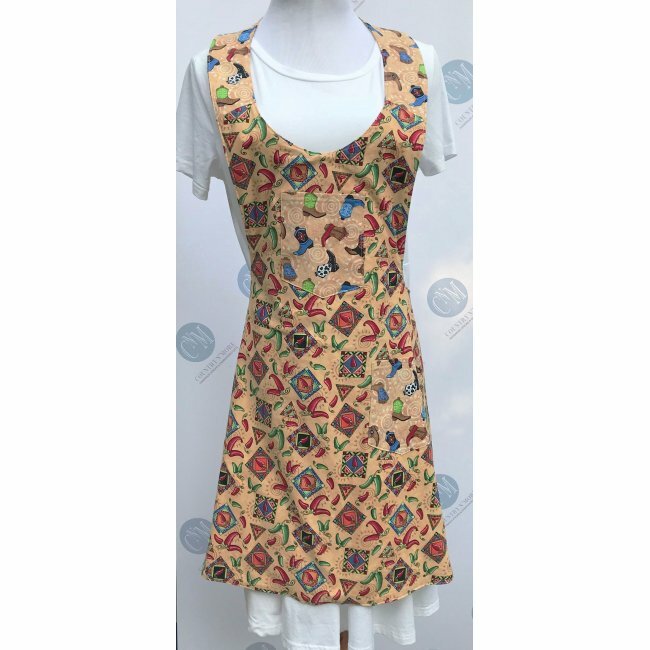 Put on your cowgirl boots and kick up your heels, while you wear this cowgirl and chili pepper vintage apron. 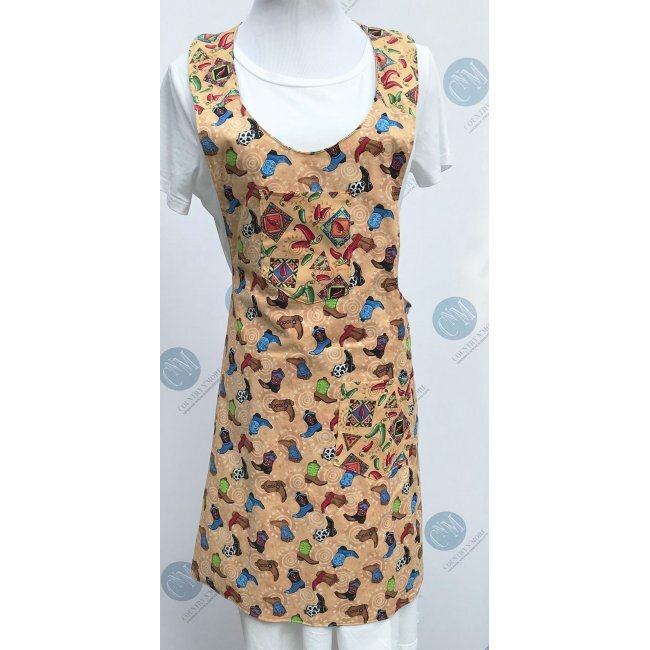 This reversible vintage apron, combines two coordinating prints. 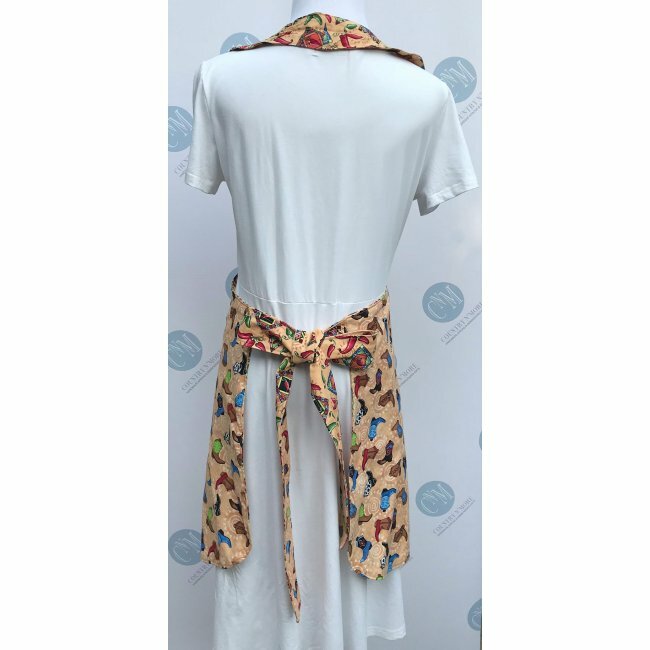 Each brings unique touches to this one-of-a-kind apron. 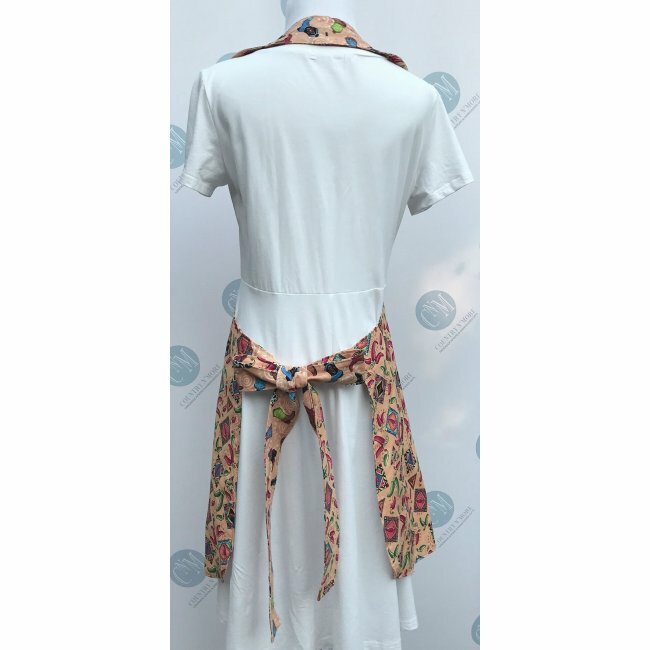 For the front, we chose a chili pepper fabric, while the reverse side was made using a cowgirl boot print.